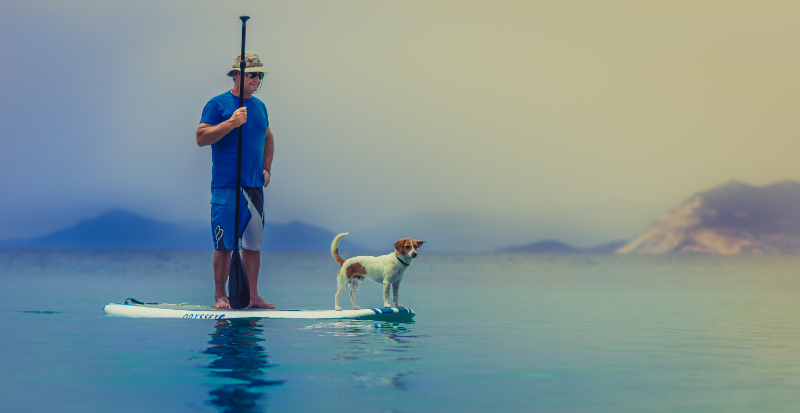 Help your pet grow old comfortably, become your pets hero. After many years of being a veterinarian, one of the saddest things we see is joint discomfort / pain, removing many potentially happy years from your much-loved pet, cat , dog or horse etc. The good news is we think we HAVE..
My name is Paul Proctor and I am a veterinarian of over 30 years experience. Some 3 years ago together with my partner Sarah we decided to set up a small new Business called Simply Pets Online. The whole ethos of this business was to help our clients pets live the very best life they possibly could. To be Healthy Happy Pets, free of as much pain and discomfort as we could possibly remove, using our extensive experience of pet practice through many years. We started to develop a small premium rang of Pet Health Products, that would we hope be the very best in their fields, as practicing veterinarians we have a very strong moral code and wanted to try and develop wonderful products that used the very best, ingredients, technology and where available science. All the products had to also be good value for money, so the return on investment in your pets leading a healthier pain free life was very obvious. All products also come with a 100% no quibbles Guarantee as to quality and can be easily returned. 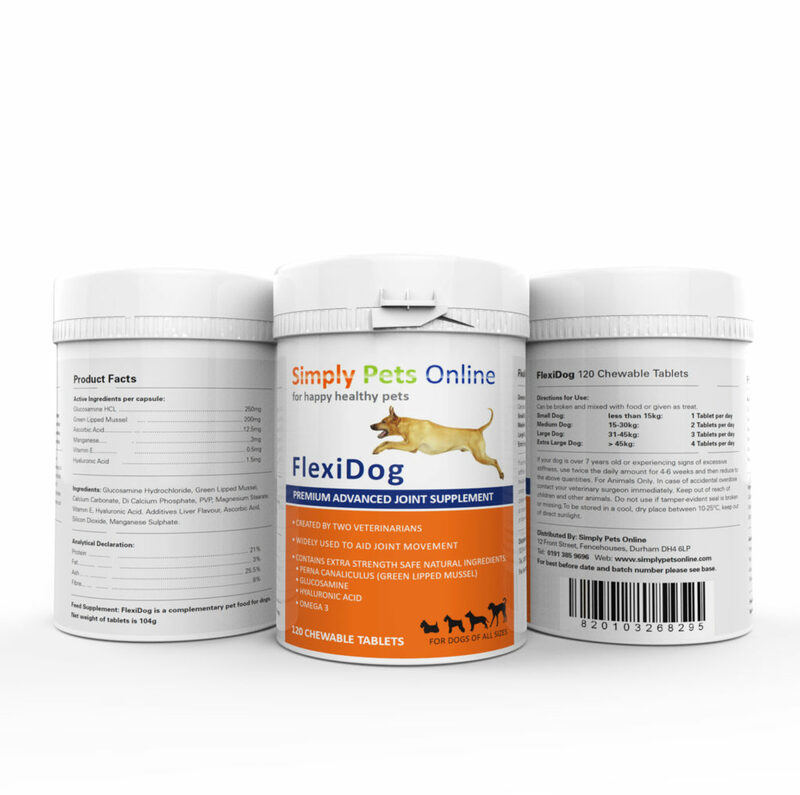 One of our first products to come to market after over 12 months of testing is FLEXIDOG a canine Joint Supplement. After over 30 years in veterinary practice we certainly know what works in most cases and what does not!! Remember no nutraceutical will work in all cases, there is just too much biological variation. However we researched the amazing benefits of some advanced nutritional supplements that are actually starting to be backed up by scientific evidence and used these ingredients in special concentrations to develop Flexidog. We think this is at least as good as any other canine joint supplement on the market today, and in many cases is a LOT better. We use pharmaceutical grade, natural ingredients and every single one has been proven to be the best of class in the many studies that are available. The skill is then combining these ingredients into the final product. The more Sarah and I have learned about dog and cat nutrition, the more we have found that extra support in many cases is advantageous, particularly in the area of joint health and well-being. It would seem that in many large dogs the beneficial effects are more profound that in many of the smaller breeds. In practice we used to see many large eg Labradors with severe joint dysfunction / arthritis compared to eg poodles or terriers. Genetic factors will also have a role to play here. However it is important to keep this in perspective as it is true that big breed dogs are more likely to get some signs of Degenerative Joint Disease based on our findings in practice they are not the only ones. Smaller pets can are also susceptible to joint issues, in fact some Chihuahuas and cats are classic examples. The fact is practically any type of cat and dog as they age can develop painful joints, and particularly if they’re heavy. Even mild obesity is a huge risk factor for joint pain as it is in humans. As our pet population is growing older ( often due to modern medical advances ) and heavier like our human population more of them are developing and showing signs of reduced joint mobility, pain and discomfort. This is the typical arthritic dog. So remember that it is never to late to start taking care of your pet’s joints. Cats and dogs of all weights and all ages can significantly take advantage of extra, targeted nutrition for healthy joints. 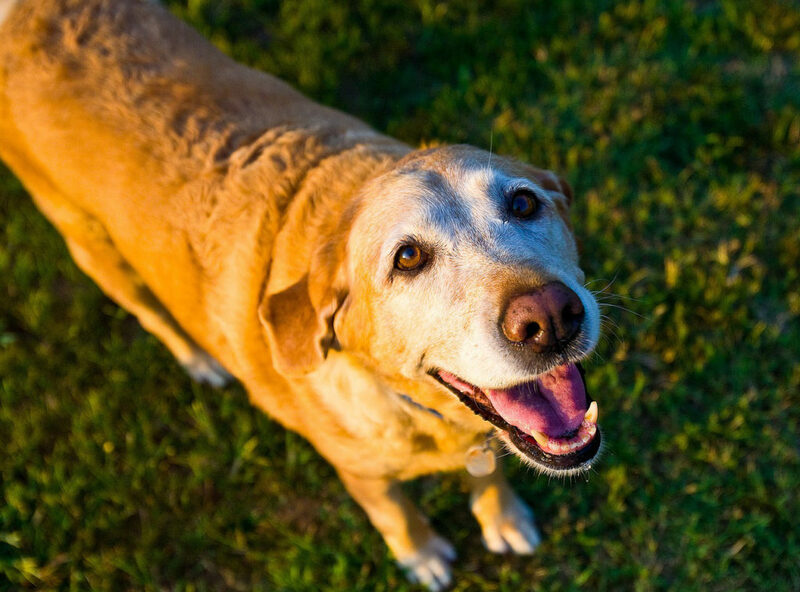 Combining a high quality nutraceutical preparation, strict weight control plus an exercise program is in our experience essential in many cases to provide maximum health and wellbeing as your pet ages. It is also true that many of us pet owners should take the same medicine. Good nutrition, a good joint supplement as we get older, watch our weight and exercise as much as we can! 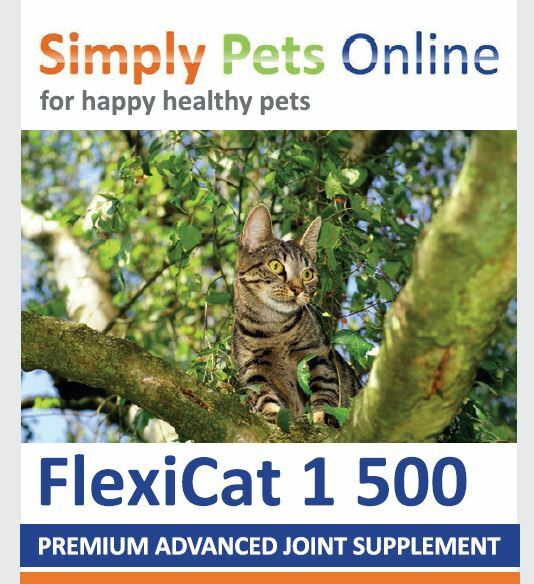 Simply Pets online has a new innovative range of helpful products, Flexidog to help maintain health joints and our new totally unique Maze Bowls to help control obesity and pet boredom. 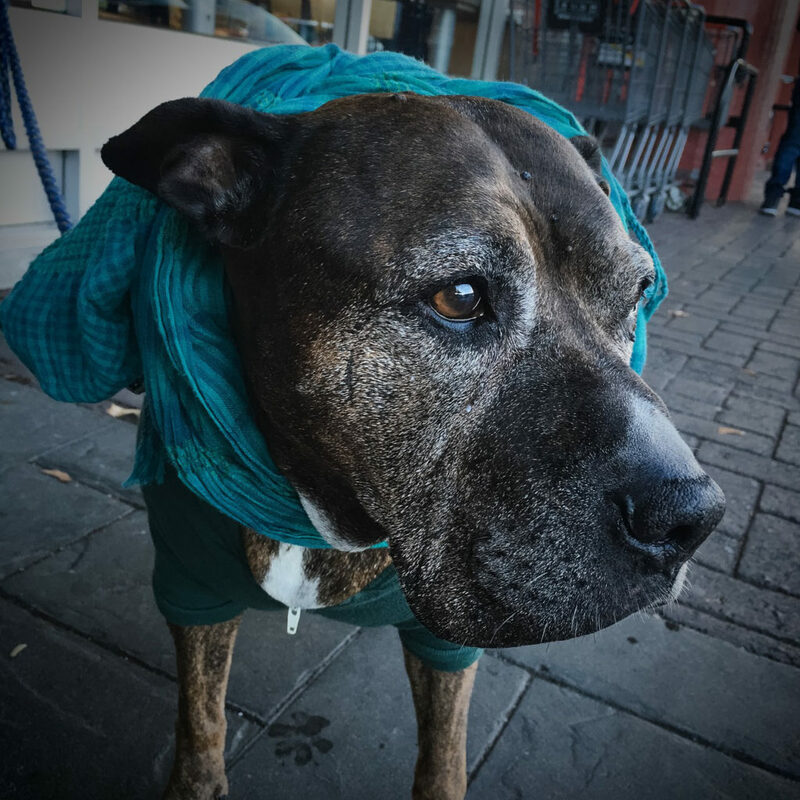 Please help your dog grow old gracefully and consider the help you can now offer as discussed in this article. Signs to Look For, could your pet be in pain. Weight gain due to boredom, over eating and a reduced activity. 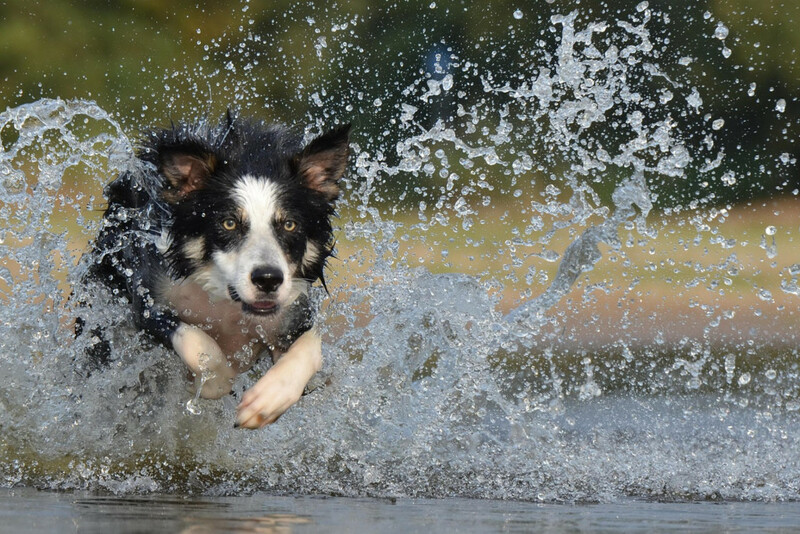 Add a high-quality nutraceutical to your pets diet. 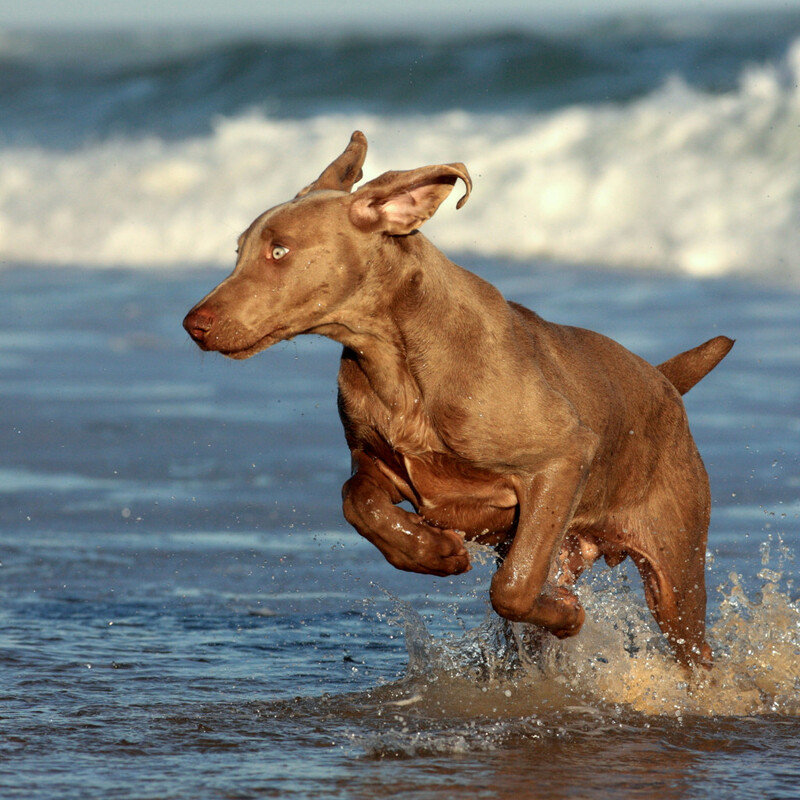 Monitor your pets weight closely ideally weigh your dog or cat once per week. Often easiest for you to get on the scales and then pick up your pet carefully have a second weigh in. Subtract your weight from the combined weight to work out your pets weight! 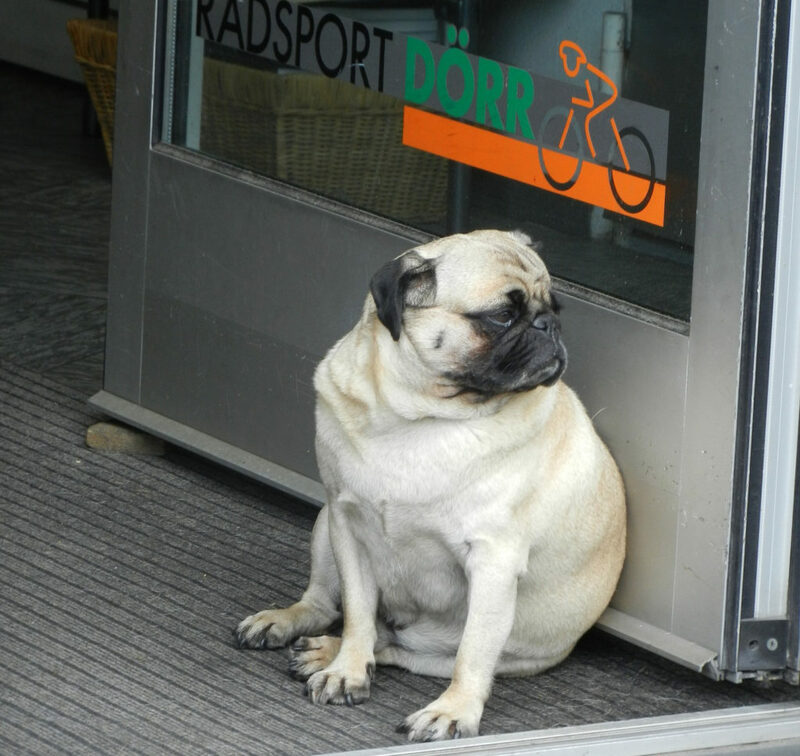 If your pet is getting overweight do something about it! Reduce calories, use a slow feed bowl, increase exercise. 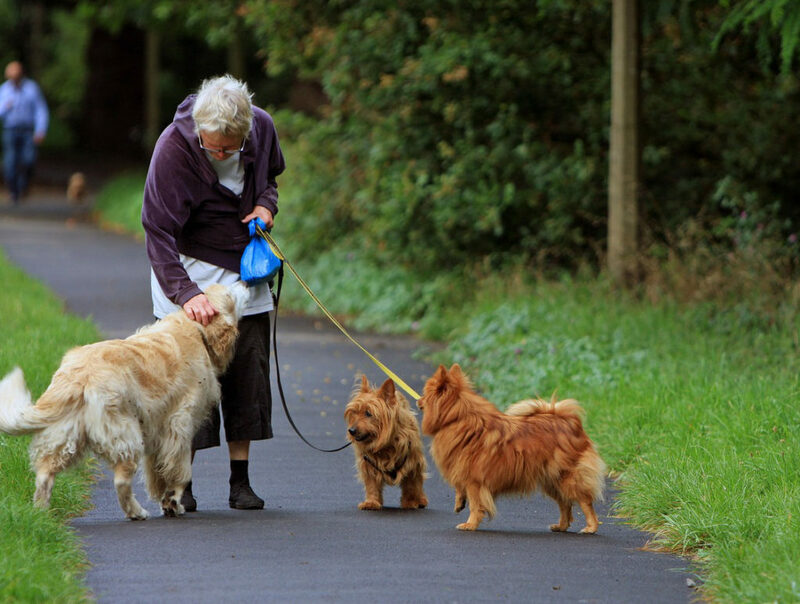 Regular steady exercise is very beneficial to both humans and pets with arthritis, so no excuse just go for a walk!! These simple steps can lead to a massive increase in your pets overall health and happiness, interestingly these simple action steps, tend to help us humans too! “Two Vets – One mission Happy Healthy Pets..